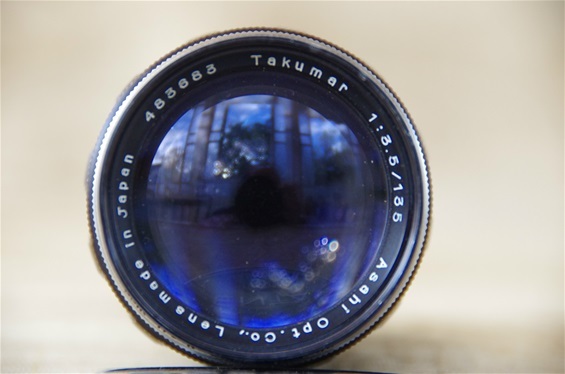 The first series of Takumar lenses, made for the Asahi Pentax (AP) was named just Takumar. 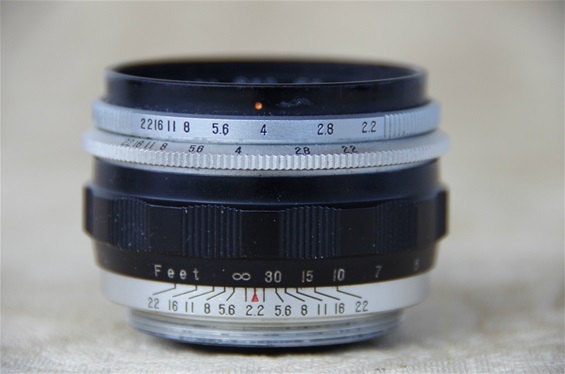 They were preset lenses, which means one has to first choose the correct aperture settings, then turn the second aperture ring to the smallest number (full opening) to obtain maximum light for focusing, and finally turn the the same ring back till it stops at the preset aperture value before releasing the shutter. It may seem more complicated than it really is. 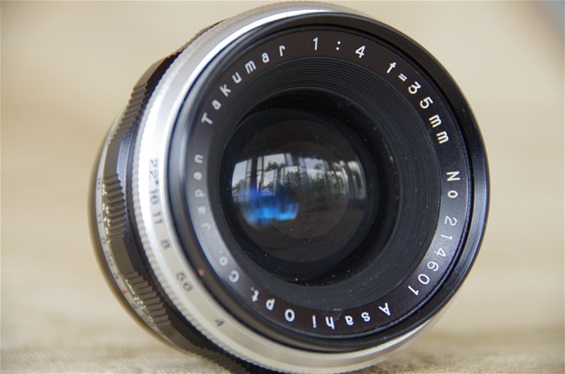 The preset Takumars followed the AP and the S model until the next generation, the Auto-Takumars, came with the Asahi Pentax K in 1958. 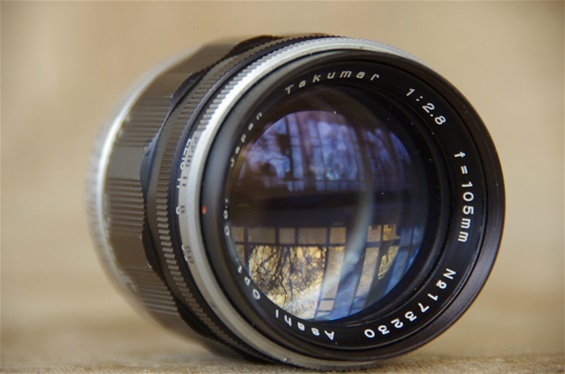 In spite of this, preset Takumar lenses were to be produced for many years to come. 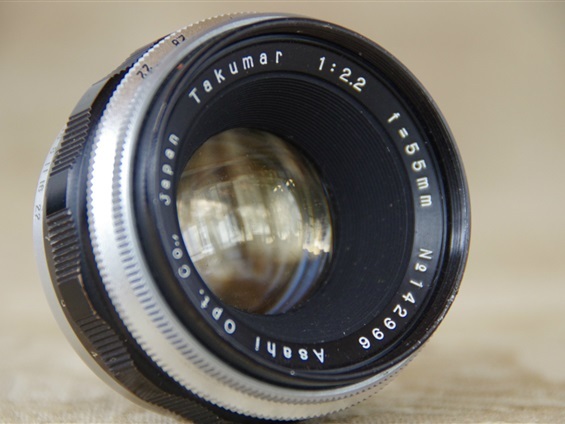 The Takumar 35/4 was the first japanese wide angel lens for SLR cameras. Due to the mirror construction, most producers did not find the room for a wide angle lens, as it demanded more space within the camera. Asahi/Takumar was the first producer to solve this. 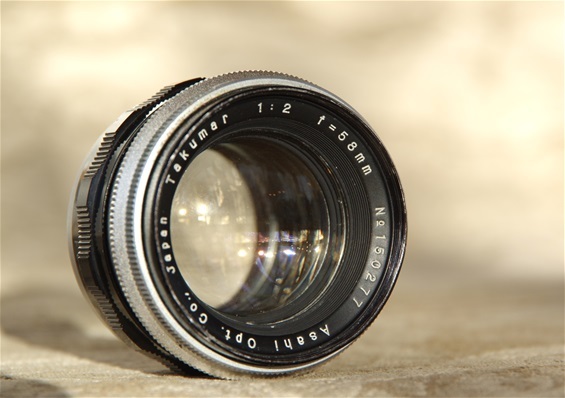 Note: rangefinder cameras had wide angle lenses for many years already, since there was no mirror to to block the somewhat deeper construction demanded to make a wide angle lens. Sn: 214601. Filter size 46, weight 135 grams. 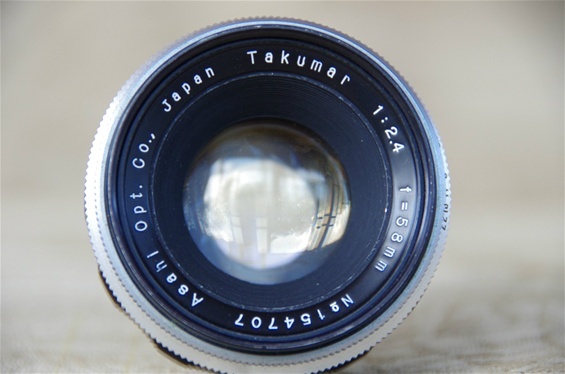 Aperture 4 to 22. 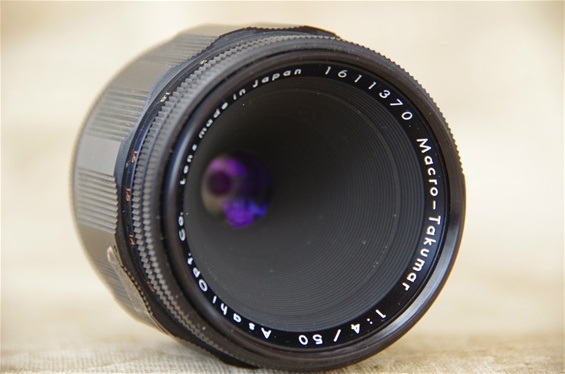 Note that there was only one aperture ring, not the usual double ring for preset and opening. 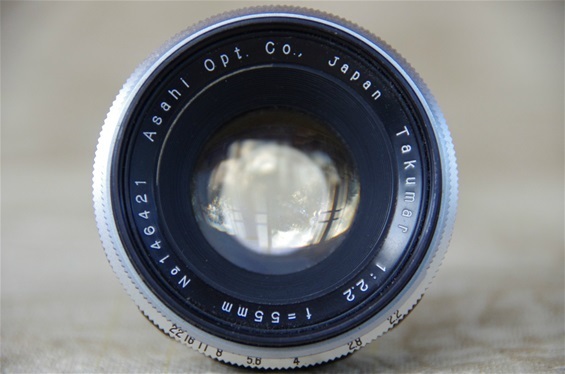 The most common standard lens to follow the first Asahi Pentax cameras was the 55/2,2. Here one of my four of the kind, the sn.146421 (AP). The others being: 142996 (AP), 145135 (AP), 146567 (AP), 161501 (S). Filter size 46, 155 grams. 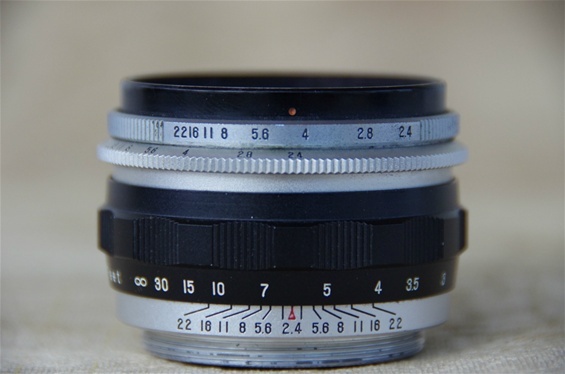 Aperture 2,2 to 22. 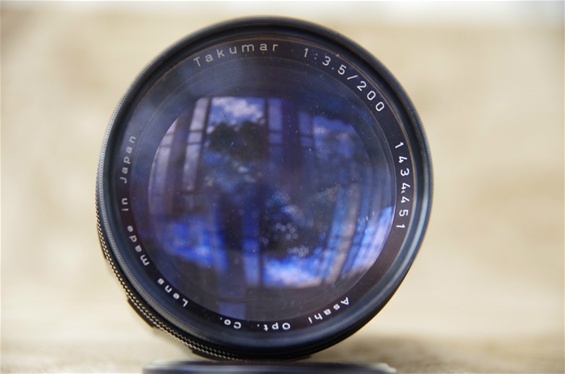 The rarest of the three normal lenses to follow the AP: The Takumar 58/2. 6 elements, 4 groups. 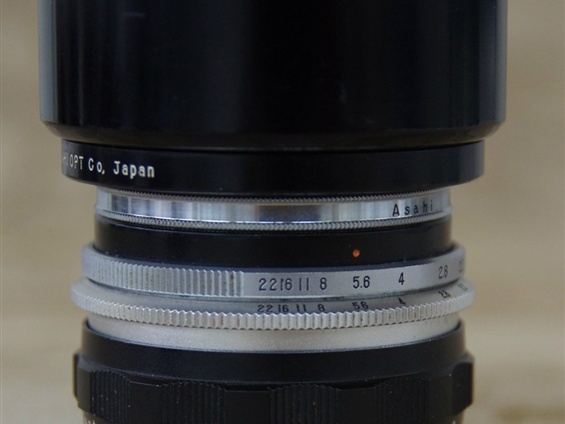 46 mm filter. Sn. 150277.
f 2-22. 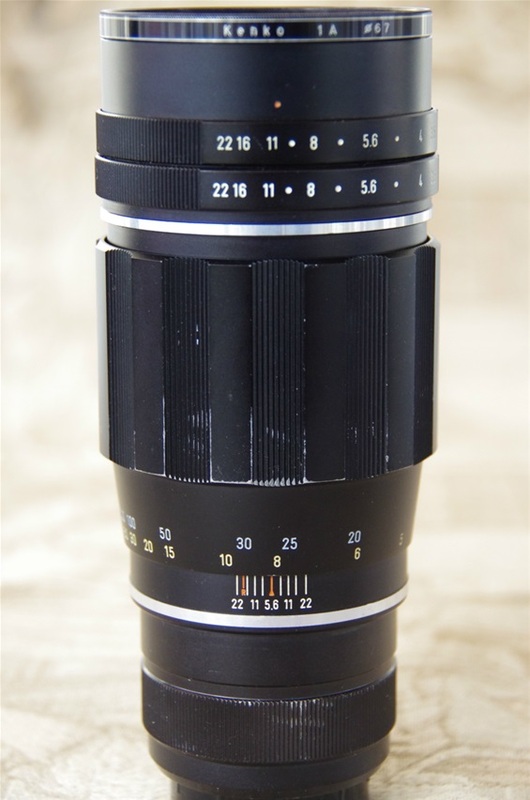 Height: 31 mm compressed, 39 mm extracted. Weight: 160 grams. 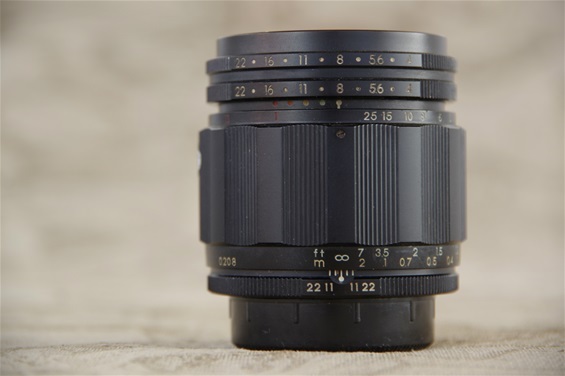 Another of the first M 42 lenses, the 58/2,4. Sn: 154707. Filter size 46, 155 grams. 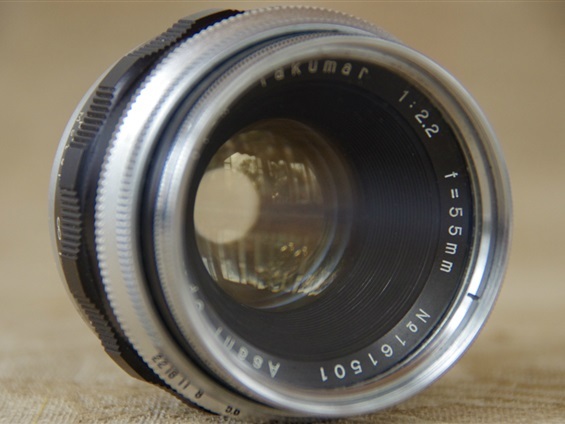 Aperture 2,4 to 22. 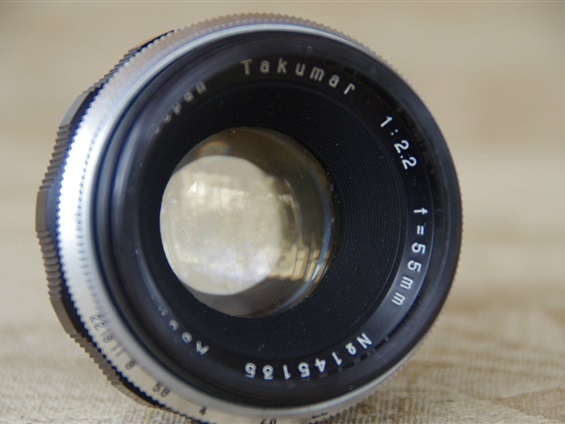 This Macro-Takumar was a late preset one, produced first in 1964. This first Macro-Takumar weighed 265 grams. Filterdiameter 49. Shown compressed. The 105/2,8 portrait tele. Sn: 173230. Filterdiameter 46. Weight: 250 grams. From 1957, the 135/3,5. Sn: 483683. Also in the collection, the sn. 358997. Filter size 46, 300 grams. 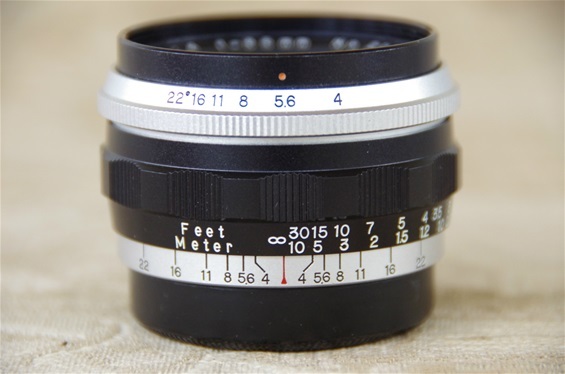 Aperture 3,5 to 22. 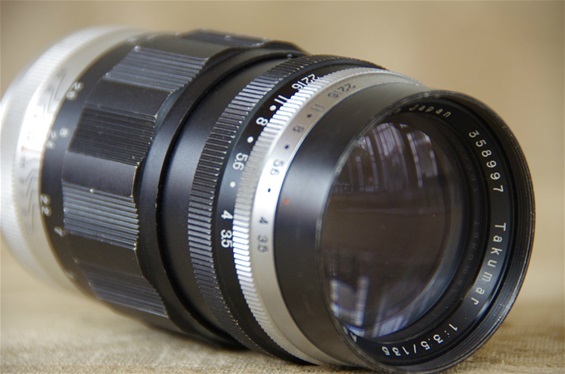 This amazing lens was introduced in 1958, although this copy is produced some years later. Sn: 1434451. Filter size 67, 750 grams without collar. 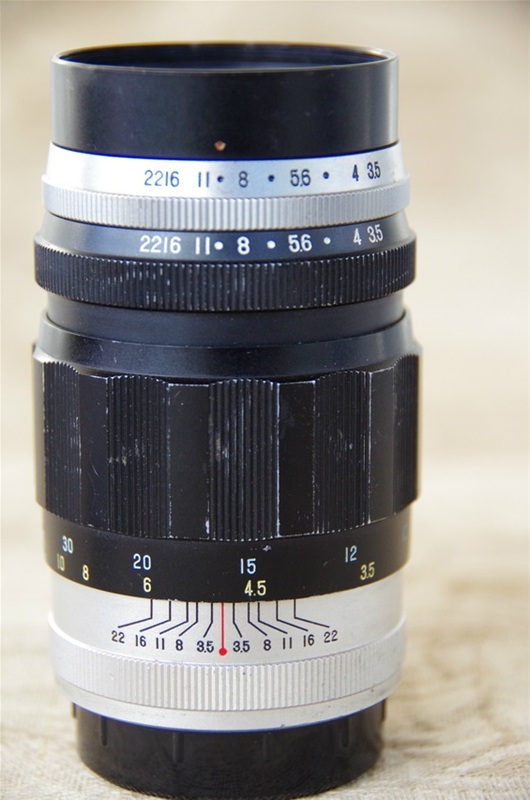 Aperture 3,5 to 22. The Tele-Takumar 200/5,6 was released in 1962, but identical to the Takumar version from 1958. Sn: 1887516. Filterdiameter 49. Weight 370 grams. 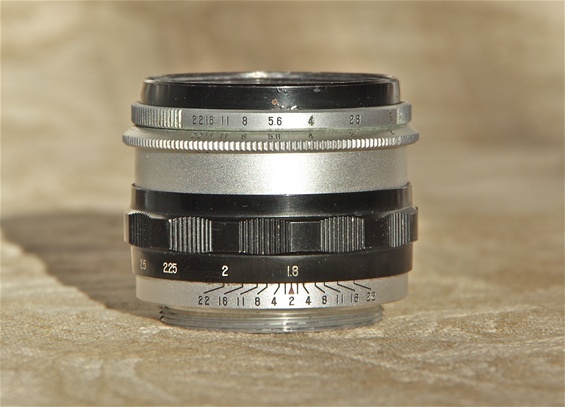 Aperture 5,6 to 22. 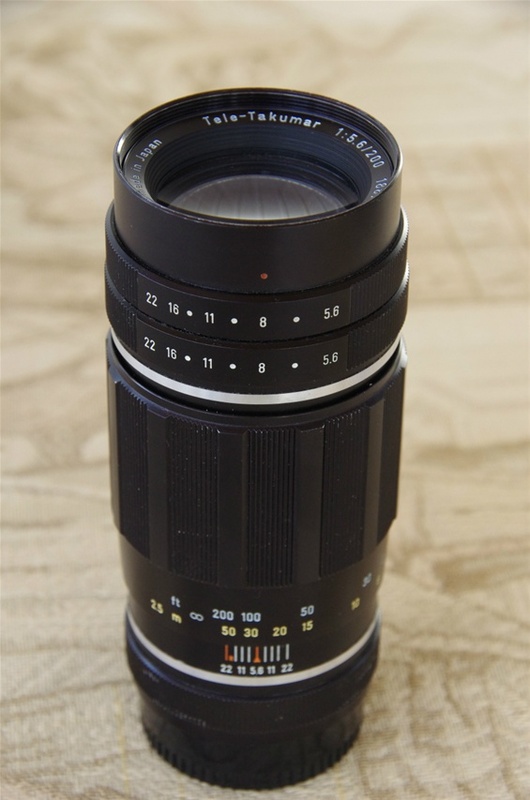 Can you advise a good source for information on the variations in M42 extension tubes made by Pentax? Sorry, but no. 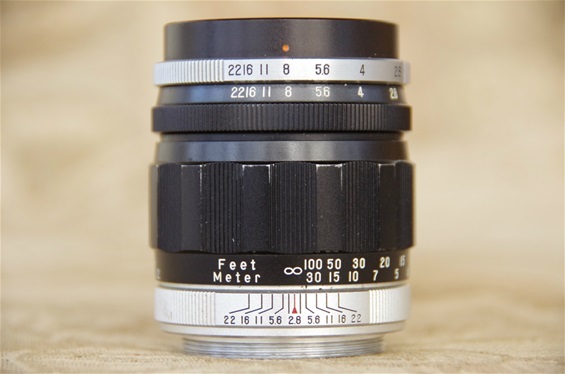 I would have suggested Pentax Forum, but they have a review on the Auto set for K-mount, only. Anyone out there who can help? 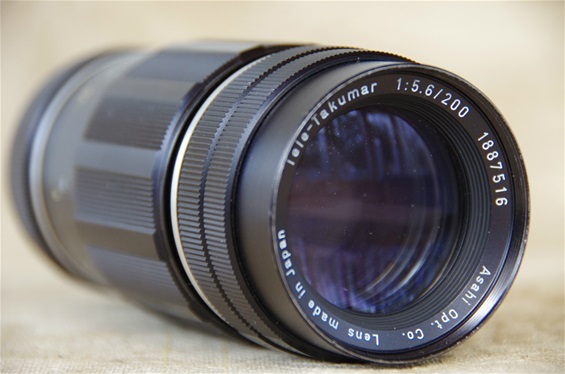 Oh yes, there are still several lenses missing in my collection. 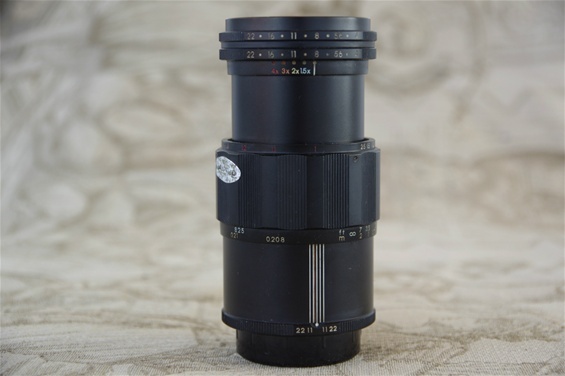 I have been working on Rectaflex lately, but still trying to keep an eye on old Pentax goodies!